I had made the Danish Braid from Baking with Julia last January, so when the June Daring Bakers Challenge was announced, I felt ready to meet this challenge head on. This time the recipe comes from The Secrets of Baking by Sherry Yard, and can be found at one of the two host(ess)'s sites for this challenge - Kelly from Sass & Veracity, or Ben from What's Cooking?. I have a history of procrastination for challenges, but this time I had a really good excuse - we moved during the month of June! This is the first time I have owned a home, so it is all very exciting, and this was only my second baking project in my new kitchen. I am a little more hesitant to get this one dirty, but seeing how it has been cleaned successfully several times now, maybe I'll get over it. I did not start the dough until 10:30 last night or so, which was a MISTAKE. After the dough comes together, you have to roll it out, fold it up, and let it chill again 4-5 times. Thank goodness some friends were online to talk to me until 2:30 this morning, or I might have had an entirely different end result. To me the main difference with this dough compared to Julia's recipe is that this has orange and cardamom in it, and I really noticed it this morning after the dough had chilled its minimum five hours and I was rolling it out to make it into the braid. 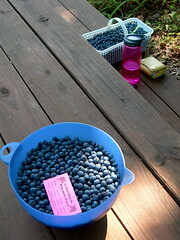 Friday, I took the day off, and spent the morning picking blueberries at The Happy Berry in Six Mile, SC with some friends. 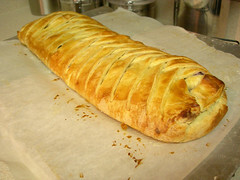 I knew I wanted to use them somehow with this baking challenge, because seasonal local produce can't be beat! Down here in South Carolina we passed strawberries and rhubarb long ago, and are barreling down the path toward peaches at this point, but that means that blueberries are perfectly in season. 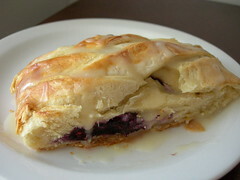 I found a random blueberry filling recipe and cream cheese filling recipe online, but since that was after four and a half hours of sleep, I'm not sure I can find it again. Somewhere on the internet, but they proved sufficient. 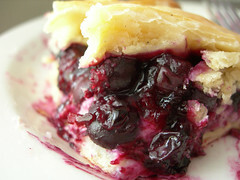 I deliberately undercooked the blueberry part, wanting to make sure we could still taste the freshness of the berry. The biggest misstep I made in this recipe was the beurrage, or butter block, stage. After seeing so many entries today, I see that it should have been more of a spreadable texture. But if you start with cold butter, and only have a Sunbeam mixer, nothing cohesive was going to happen. So I actually ended up grating the butter, mixing it with the flour, and sprinkling it on the dough during the first roll out. I feel like that worked pretty well, and it never got too warm to work with nor did it poke out of the sides, but I wonder how the end result would have been different if I had done that part more accurately. Now to figure out what to do with the other half of the dough - I've seen some great examples of bear claws and chocolate croissants, I need to try one of those! 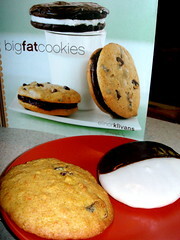 Cookbook Review - Big Fat Cookies! A co-worker lent me a few cookbooks and I have been eyeing this one throughout my move. The shiny pictures and easy to follow recipes lured me in, but the hardest part was picking which ones to try. I'm intrigued by the Pine Nut and Fig Round Ups as well as the Currant Cornmeal Crunch Cookies, but both of those were under the crunchy category. And, well, I'm more of a soft cookie girl. Growing up, my Mom often made morning glory muffins, full of carrots and coconut and nuts. The Morning Glory Breakfast Cookie is more like a muffin top, but in a handy cookie shape. My husband and I sometimes order Erin Baker's Breakfast Cookies online and love them, so I am always looking for a recipe that will come close. These aren't quite dense enough to be like those, but still delicious. The other cookie I chose was the black and white cookie. These aren't typically the kind of cookie I would pick but I liked the idea of making them. The cookie dough is a lemon-scented buttermilk sugar cookie, and you use the bottoms to have a smooth surface to put the two glazes on. These were really fun to make, and have a lot more flavor than I expected. So hooray! The first baking project in my new kitchen - two cookie recipes in two hours! 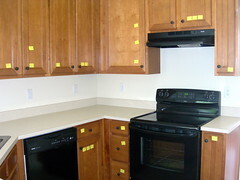 This is my kitchen - spots are designated, but boxes still aren't unpacked, and half of it is still in the last place. Coming soon - the first baking project in my new kitchen! And yes, I totally did a sticky note organization method, because I couldn't decide where everything would go. Every time I travel, I try to buy a cookbook. As a result I have quite the regional cookbook collection! I often make piles of cookbooks to go through when I bring home an ingredient without a specific plan for it. This weekend, it was zucchini from the farmer's market in downtown Greenville. I was hoping for some kind of fruit, but we must have hit it post strawberry/rhubarb season but too early for blueberries. It isn't like I've never made chocolate zucchini bread or cake before, but this recipe in particular comes from Clayton Farms B&B in Grinnell, IA. The recipe is from the Sampling Iowa Treasures Cookbook that I purchased from the only bed and breakfast in Prarie City, IA - Country Connection. Nathaniel and I stayed there as we moved across the country from Oregon to Indiana. It was a memorable day, because we managed to find enough time to go to the Iowa State Fair in the hottest weather we had ever experienced, managed to blow out the tires on the car we were carrying behind the moving truck (forgot to take off the emergency break), and the people running the B&B had an interesting conversation philosophy. I don't remember specifics, this was 2000, but I remember the breakfast conversation being very morbid. Still, I may never visit Iowa again. But it can be nice to visit via my Iowa B&B Cookbook! Beat eggs, oil, sugar, and vanilla together. Stir in the zucchini. Mix together all the dry ingredients and add to previous mixture. Mix well and pour into two greased and floured 4x8x2 inch loaf pans. Bake at 350 for one hour or until it tests done. * I was out of veg oil, so I used half butter and half olive oil. As moist as zucchini is, I was surprised to see such a high fat content in this recipe! I need to learn more about making recipes more healthful. I also baked this in a bundt pan, because I hate my silicon loaf pan. I have to admit that this recipe feels so boring to me, but only because I've had it a million times. It doesn't mean it is any less delicious. I'm in the middle of moving to the first home we've ever bought, so I had to grab something quick. Next week, depending on how together I am, you may see the first post from my new kitchen. 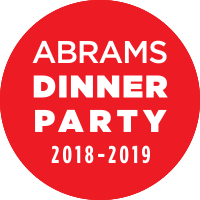 In the meantime, please go to absolutely favorite baking blog, Cakespy, to see how they turned garden vegetables that aren't typically featured in baking into tasty treats. You won't regret it. (I'm still waiting for my brussel sprouts cupcake, personally). ETA: This is my 100th post! Happy 100th post to me! I'll be celebrating my 2nd anniversary soon of blogging, so stay tuned! 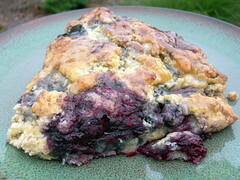 I was searching for a recipe to make to thank the people involved in a weeding project on the first day of summer in the library, and what is better than a scone that is stuffed with berries and glazed with honey? Yum. 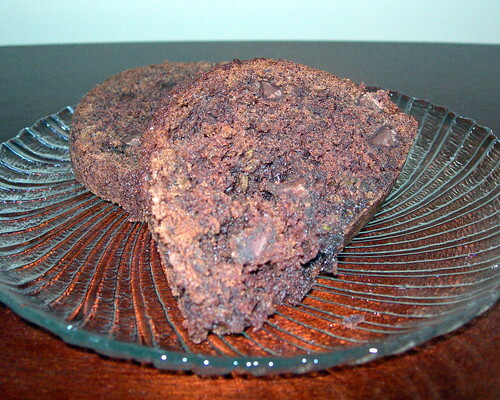 This recipe comes from Passion for Baking, a cookbook I was given for the holidays but haven't made a lot from yet. The recipes are beautifully presented with good tips and nice photographs. The main trick this recipe uses is to add a glaze to a scone, to extend its shelf life. It makes sense that my favorite scone recipe has a cinnamon-sugar glaze. Most of the time I tend to make scones that are more appropriate for jam and clotted cream, but these are more along the lines of coffee house scones. Put lemon juice in a 1 cup measuring cup, pour in whipping cream to 1-cup mark, and let stand a few minutes to make soured cream. Preheat oven to 425 F. Line baking sheet with parchment paper. Knead briefly on a lightly floured work surface, adding more flour, if required, to make a firm dough. Pat out to 1-inch thickness. 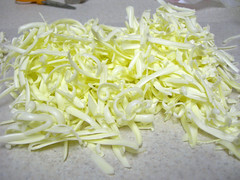 Cut into wedges or rounds and place on prepared baking sheets. Brush each scone with milk or melted butter. Bake until scones are nicely browned, about 16-19 minutes. Meanwhile, for glaze, heat honey and butter in a liquid measuring cup in a microwave until mixture is just simmering, about 1 1/2 minutes on HIGH, stirring after 45 seconds. Brush scones lightly with honey-butter glaze as they come out of the oven. Let stand on baking sheet. Repeat with more honey-butter glaze, more generously, about 15 minutes later. * I somehow missed this step, but this would have added more browning. ** I definitely just went the old-fashioned biscuit method for this step, which is rubbing the butter into the dry ingredients until sandy. *** I stirred the berries into the crumbly mixture before adding the soured cream. **** Okay, if you made 8 as I did, they are crazy huge scones. Try 12 or 16 for sure.